Anyone with a business strives for success but not everyone systematically implements the project plan tools which are readily available to assist with marketing. This may be because many of the resources seem too academic or perhaps it’s the sheer volume of information which is daunting. In this article I highlight eight tools which can be used to create a solid project plan, helping create the strategic backbone to marketing success. For project plans to produce the desired results they need to integrate, support and inform marketing strategy, development and direction. A project plan can be made up of one or more of the business tools below which include matrices and models to help identify almost every aspect of a business, from brand purpose, role players, actions, insights, competitors and company growth. Who is involved and their responsibilities. Be a contract between the project sponsor, key stakeholders and the project team. SmartSheet has Project Charter useful templates available for free download in word or excel. 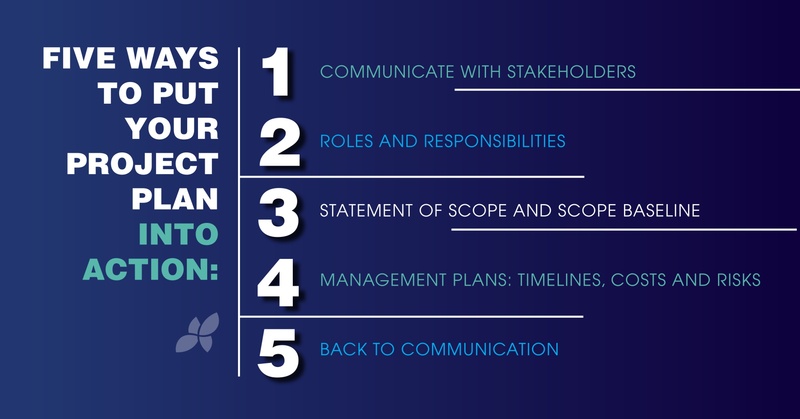 While a Project Charter is an overview of a project, often to get buy in and approval for the framework, a Project Plan works on the approved structure and framework of the charter. There are various ways to create a Project Plan but the traditional Microsoft Project Templates always work effectively, or explore the option of using a free Gantt Chart template. This strategic planning tool dates back to the 1960s and is named after its creator, Russian American mathematician and business manager, Harry Igor Ansoff, also known as the “father of strategic management”. Cash Cows – Products in low growth markets with high market share. Draw the circles on a matrix. Unlike most of the tools on this list, Gartner’s Hype Cycle positions us firmly in the 21st Century. It’s described as, “A graphic representation of the maturity and adoption of technologies and applications, and how they are potentially relevant to solving real business problems and exploiting new opportunities.” But, more simply put, it’s positioning your product or business within a technology curve of expectation and time to see where it is / isn’t potentially relevant to the marketplace. Which – as they explain – helps to “separate the hype from the real”. For further insights on this, read 5 Trends Emerge in the Gartner Hype Cycle for Emerging Technologies. Over the last 15 years I have consciously or unconsciously used the SDLC model in many projects including helping start ups with business plans, building marketing strategies, supporting change management and of course developing IT solutions. This simple model is an method in defining the steps in the project plan through there are various other tools. The SDLC, also known as the Application Development Life-Cycle, describes the process (often used in IT and Systems) is for planning, creating, testing, and deploying an process or information system. For additional project planning tools Smart Insights have an article with more suggestions, including SWOT Analysis, the BCG Matrix, more on the Product Lifecycle Model, the Pestle Analysis Model and the BCG Matrix. 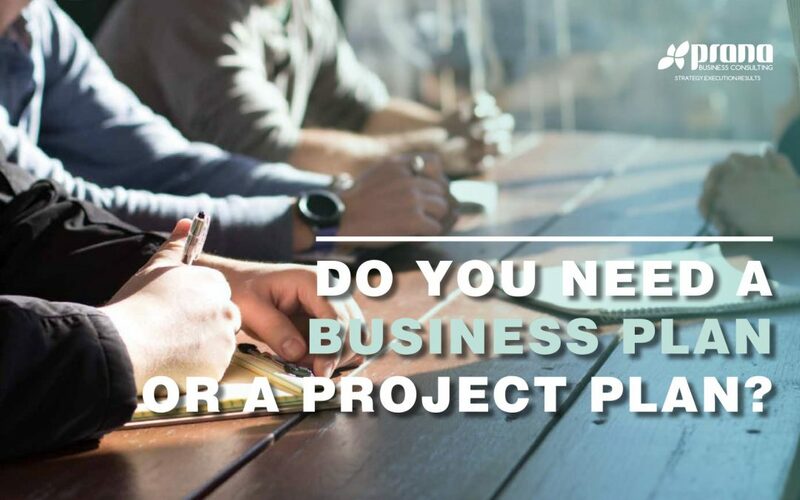 At Prana Business Consulting we also create bespoke project planning tools based on our experience as well as specific client needs. Increase website traffic – social media platforms are entwined and connected to each other and this allows users to see a post on all social platform sites. Due to this it gains more views and therefore giving your post or website the exposure, it deserves. Social media platforms support various formats such as image, video or a link. These capabilities allow users to share as much content that they like. Raise brand awareness – social media platforms raise brand awareness by marketing your brand’s quality. Interacting with your brand’s target audiences through contests, hashtags, info-graphics, conversations, instills trust among your audiences. Create a brand identity – social media platforms enable you to express what makes your brand special. It gives you a chance to post content that speaks for your brand, its quality and how it can make an impact in your life. Interact and communicate with targeted audiences – social media platforms enable you to interact and communicate with your targeted audiences in real-time. Thus keeping good relationships with your consumers. Social networking sites have made an impact in our daily lives over the years, and they continue to change over the years. Many of the top leading businesses today market their brands with the help of social media. Facebook is currently the top largest social network on the web. It has1 billion user accounts and 2 million monthly active users. Facebook is a network that allows users to connect with friends and families, tagging each other in posts pf similarity and updating each other’s personal activities. Businesses have been using Facebook to promote and market their business, brands and products with the use of paid Facebook ads. Twitter is the second most used social media platform. It is known to be the real-time, microblogging network where news is broken out first. Twitter has 280 characters, allowing users to keep to short and sweet messages. Twitter Card integration makes it easy to share all sorts of multimedia content in tweets. Twitter marketing revolves around communication and consumer interaction, which builds consumer-business relationships. Businesses use Twitter Card integrations to its advantage and thus promotes its brand and products such as shopping directly through tweets.as well as its interactions with its consumers. LinkedIn is a social network platform mainly used by professionals. LinkedIn profiles are designed to look like resumes, with sections for work experience, education, certifications, awards and other relevant work-related information. LinkedIn encourages consumers to give your business a recommendation on your LinkedIn profile. These recommendations promote your business by making your business appear more credible and reliable to new consumers. YouTube is the worlds largest video-sharing social media platform that allows users to upload and share videos, as well as view, comment and like them. YouTube is a great platform for creating and sharing video content for many businesses, as they aim to create videos with the hope of them “going viral”. Instagram is a social media platform that was designed to share real-time photos and short videos. It has become one of the top social media marketing platforms for brands as well as Instagram Influencers. Instagram helps business create brand awareness by, promoting products, humanizing their content, recruiting new talent, inspiring their audience as well as interacting with their audiences in real-time. In conclusion, social media marketing is the best way to market your business in the new age of technology. It’s the best way to market because it allows your business to engage with potential and existing customers by connecting your business to millions of people allowing instant communication. Reaching a newer and bigger audience through social media, your business’s customer base can multiply in just a few years. Written by Dharini Umrigar. Marketing Intern, Graphic Design and Marketing Communications. Coca-Cola dividing their products into three categories – leaders, challengers and explorers is a good way of defining the future of any brand. Those who are successful need to be at least one of these, preferably two, ideally all three. Here are five ways I see brands (and a continent) leading, challenging and exploring in 2019. In an interview with Marketing Week CMO of Sparkling at Coca-Cola, Javier Meza, shared how the brand remains current by aiming to be extraordinarily agile. He said in Japan, for example, the business was launching two new products a week. Each product is tracked for six weeks and then a decision is made whether to keep or cull. There’s now a separate entity for Coca-Cola called Global Ventures who scale new products as the business diversifies away from fizzy drinks. Rodolfo Echeverria, Coca-Cola’s global vice-president of creative, says explorer brands require “a typical West Coast, California attitude” which means looking towards healthier products. In China, for example, they have recently launched a tea brand for the eighth time as well as having Coca-Cola Clear with lemon. In Japan the brand has Coke Plus Fibre, which lowers the body’s fat absorption and is targeted at over-40 year olds. Other big players we can expect to see being uber-agile in 2019 are Samsung (who spent around US$15.3 billion on research and development in 2018), Volkswagen and Apple. But will they be swift enough to match Amazon’s meteoric innovation? Bearing in mind Amazon’s R&D spend in 2018 was a cool US$22.6 billion. The Ministry of Supply in collaboration with MIT’s Self-Assembly Lab in the US are rolling out a service which introduces the next level of on-site robotic personalisation. Now robots will resize a jersey (or sweater) to fit you while you wait. Skylar Tibbits, Founder of the Self-Assembly Lab speaks of the innovation, saying there’s something psychologically rewarding about watching a garment transform before your eyes, “You want to see that it’s actually active, that it’s alive and transforming with you and around you.” This is the future of customisable products – not just fashion – robotics sprinkling electronic fairy dust and personalising your product while you wait. We are also seeing some retailers launch stores which stay open all hours. For example, BookXcess in Malaysia has just opened its doors to the country’s biggest-ever bookstore and it will stay open twenty-four hours a day, seven days a week. Within the shop of 3,437m² they stock half a million books. The space (more like a mall) also has individual reading areas and a cafe to entice readers to stay for longer. We may see more stores like these in the Asia Pacific region as their middle class is predicted to rise to 65% of the continent’s population by 2030, and physical 24/7 is a way of shopping which suits their lifestyle. While brands are working overtime to meet customer needs there are real benefits in store (and app!) for the person who wants to streamline their consumer spend. The recent reveal at CES 2019 of L’Oreal’s My Skin Track pH is an example of this. It’s touted as the first “wearable sensor and companion app to easily measure personal skin pH levels and create customized product regimens.” If it works as well as promised the reality will be ways of really knowing what our skin needs and less experimenting with products, therefore less wastage. The My Skin Track opens intriguing doors to the future of beauty, health and technology, but brands need to hold on to the human touch. I recently read a list of ways the BBC World Service engages younger audiences which can be applied to what customers want. They are: update me, give me perspective, educate me, keep me on trend, amuse me and inspire me. But tt’s not only in the business facts and figures that position the continent of Africa to become a powerful challenging and exploring brand – it is the people. We’ll be seeing more ideas and products being created by Africans to meet our most pressing needs. For example Nigerian college student, Segun Oyeyiola, recently upcycled a Volkswagen Beetle and turned it into a wind and solar-powered car, made up of scrap parts, for less than US$6,000, paving the way for more local innovation in this field. With consumer spending in Africa expected to hit $25 trillion by 2025, our emerging markets are amazing opportunities for international trade and growth, but it will be our spirit of Ubuntu (a quality representing compassion and humanity) which will keep Africa creating innovative products to improve quality of life.